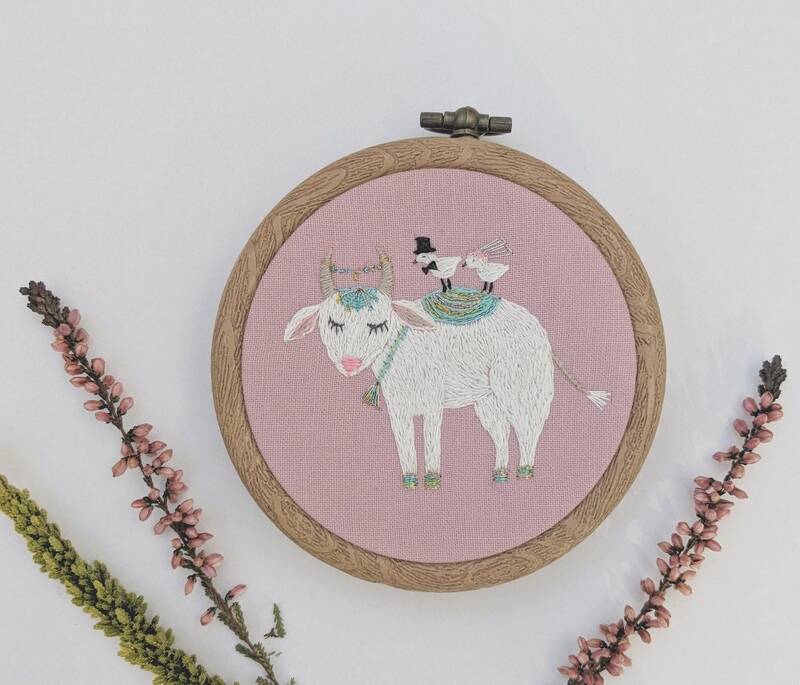 Wedding bull embroidery. 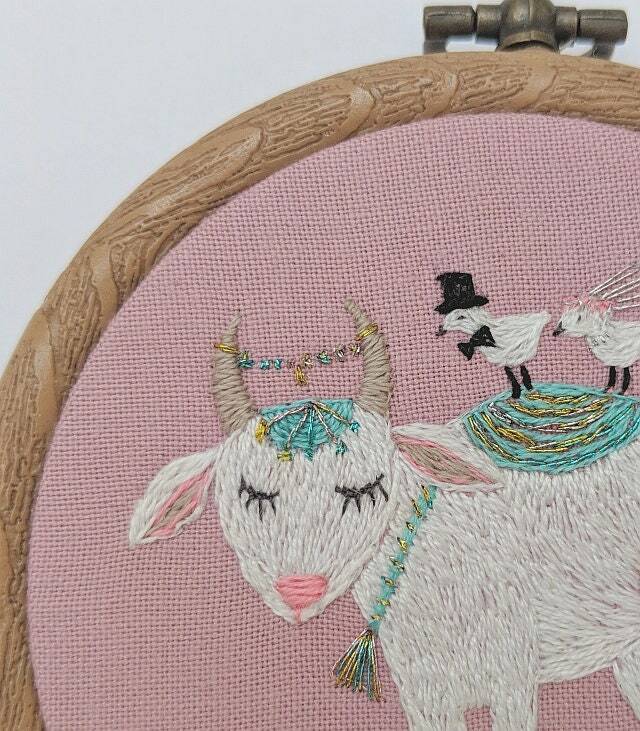 Hand embroidery hoop wall art with wedding bull and birds in love. Wedding Gift. Embroidery wall hanging. 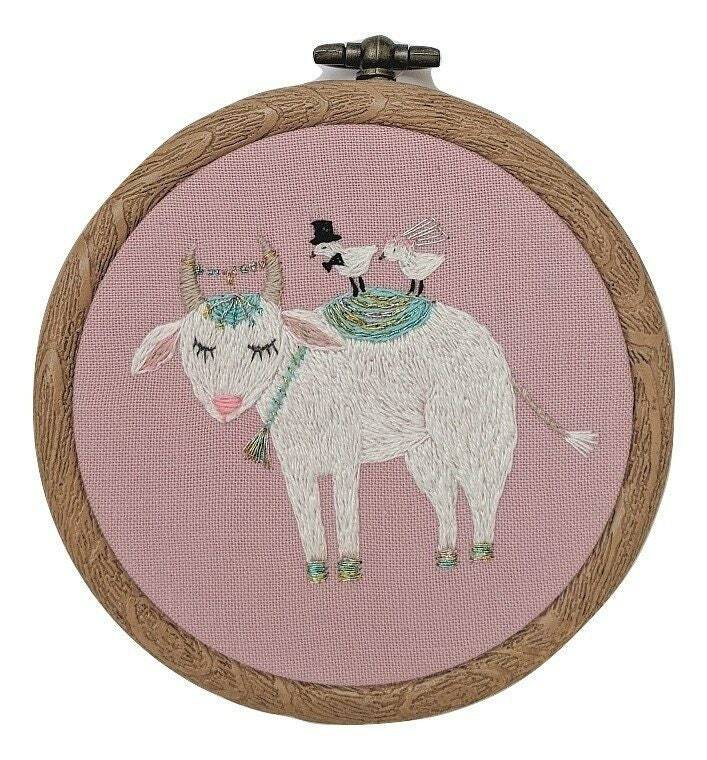 Hand Embroidery Hoop Wall Art - Holy Wedding Bull and birds in love embroidery is a very sweet wedding gift. This picture is hand embroidered with high quality DMC embroidery thread. 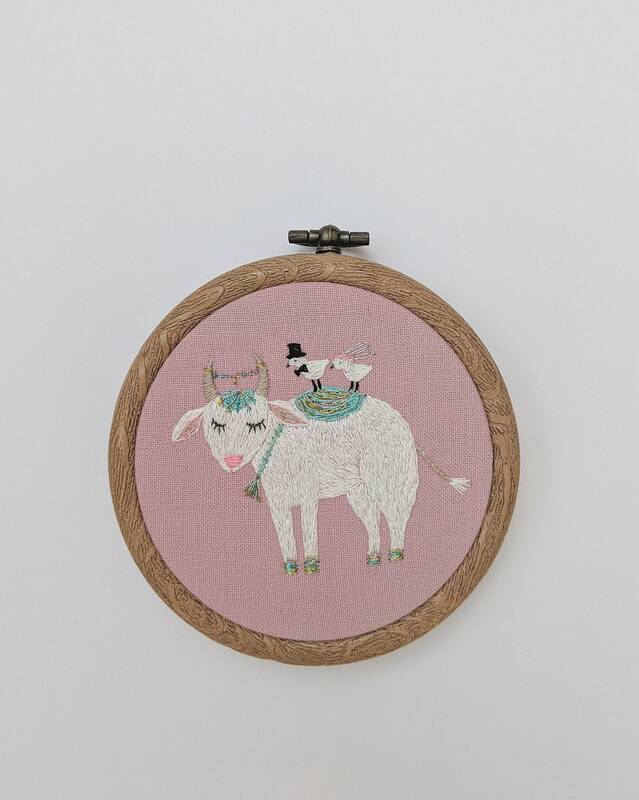 The embroidery includes the hoop and is ready to use, for your wall or as gift for friends! ca. 7.5 cm - 2.9"